The judicial circuit is abuzz with talks of Justice Chelameswar’s decision to boycott collegium meetings and his insistence on recording of the minutes. His definitive stand on transparency and accountability in the appointment of judges has primarily been lauded by former judges of the Supreme Court with contemplations based on prior experience. Justice J. Chelameswar, the fifth senior-most judge who is part of the five-member collegium, that is headed by the Chief Justice of India (CJI) TS Thakur and has Justice A.R. Dave, Justice J.S. Khehar and Justice Dipak Misra as other members, did not attend the collegium meet scheduled on Thursday. He said that his unwillingness to attend the meetings was because of the lack of transparency and opaqueness in its functioning. He demanded that the collegium record and give reasons for its decisions on the selection or rejection of judges. He stated that he would attend collegium meetings if the CJI gives an assurance on this. The meeting was called off due to the development. The CJI, however, said ‘we will sort it out’. Though his stance has reportedly upset other judges of the collegium, former Judges have welcomed the assertive posture adopted by Justice Chelameswar. Three former judges have stated that transparency and consensus are needed in the Supreme Court collegium proceedings for selecting judges. 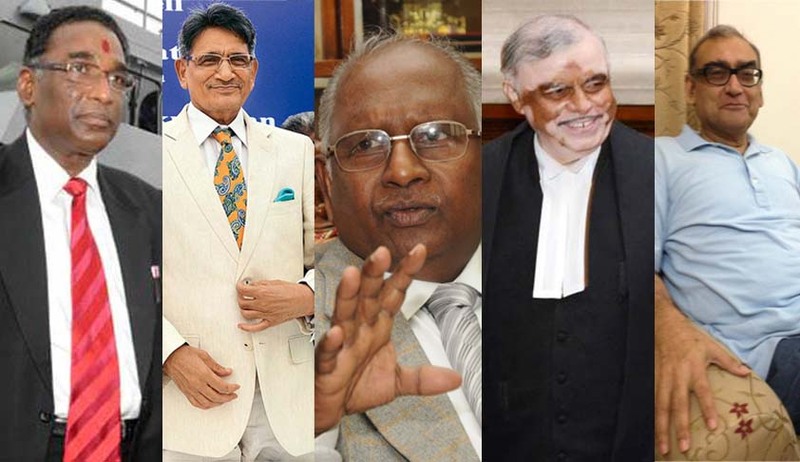 While Justice Sathasivam and Justice RM Lodha favoured recording of views of the collegium members on names considered for appointment of judges to improve transparency, Justice Balakrishnan differed on the aspect. He said that recording unverified charge against a sitting Chief Justice without giving the latter a chance to rebut is against the principles of natural justice. He said: "The collegium is not a departmental promotion committee to record every charge against a person. The collegium is a body comprising senior-most Supreme Court judges who are responsible persons. If there is no consensus on a name, that person should never be recommended for appointment." Justices Sathasivam and Justice Lodha, however, held a different point of view. Justice Sathasivam said: "Transparency is important for the health of a system, be it collegium or any other selection process. Hence, recording views of collegium members is essential. Views of each member on a particular name in zone of consideration must be recorded and should form part of the record sent to the government along with the recommendation.” Nevertheless, he gave primacy to consensus over transparency. He stated that ‘if there is a single valid dissent to a name, that person should not be recommended for appointment as a judge’. While stating that there is a point in what Justice Chelameswar said, he stated that the time had come for the judiciary to be more ‘transparent’ and ‘whatever best must be done to achieve this must be done, whether minutes should be recorded or not should be looked into’. He said that this might even influence the process of finalising the Memorandum of Procedure (MoP) where the government and the judiciary are at loggerheads over reforms in the collegiums. He suggested that it would be in the best interest of the institution that all judges put their heads together and find a solution. “In the US, the Senate, which has to approve names sent by the President, holds televised proceedings in which members of the Senate closely question the candidate about his views, and even his personal life, and this is seen and heard by the entire American public . Ideally, that is the system which should be adopted in India too. But even if it is not adopted, minutes of the proceedings of the collegium meetings should be recorded, and disclosed to the public so that the people know what was said by each collegium member”, Justice Katju added. Justice Chelameswar was the lone dissenter in the NJAC judgment delivered by the five-Judge Constitution bench in October last year. He not only upheld the NJAC law, passed by Parliament, but found the Collegium system of appointments lacking in transparency and effectiveness. Subsequently, however, he joined the rest in the consequential judgment on the Collegium, delivered in December, because it sought to improve the Collegium system.